SPX is pleased to announce 21st Century creators Michael DeForge, Gemma Correll and Noah Van Sciver as guests at SPX 2016. This is in addition to the previously announced creators of the current century Kate Beaton, Luke Pearson and Noelle Stevenson. Having recently designed an Adventure Time title card and running an active Patreon account, Michael DeForge represents the modern cartoonist and working freelancer. 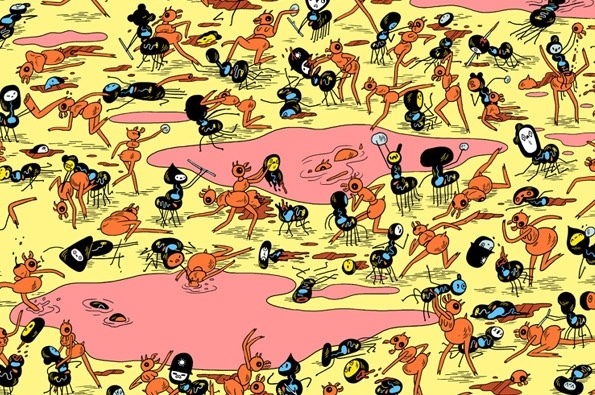 DeForge marches onward in 2015, with SPX privileged in seeing the debut of his Koyama Press publications, the graphic novel Dressing and Lose #7, the latest in his award winning comics series. 2015 also saw the release of the collection of two of his Patreon works in On Topics from Breakdown Press, as well as First Year Healthy from D&Q. His singular vision and design-influenced style of storytelling make each new work instantly recognizable and remain with readers well after they have put the book back on the shelf. Illustrator, writer, artist Gemma Correll rounds out the guest list with her succinct cartoons and whimsical books. Correll’s The Worrier’s Guide to Life hits stands this year from Andrews McMeel while A Pug’s to Guide to Etiquette is still making readers’ sides ache from laughter. With a pen line easily suited to many audiences, Correll also celebrates illustrating new children’s books this year with Pig and Pug, written by Lynne Berry, from Simon & Schuster and Being a Girl, written by Hayley Long, from Hot Key Books. Noah Van Sciver continues to create new work as the “cartographer of his generation” (Paul Buhle, TCJ). A true powerhouse, Van Sciver has one-two-three-FOUR new books out this year: Saint Cole and Fante Bukowski from Fantagraphics, My Hot Date from Kilgore Books, and Cheer Up from Hic and Hoc. 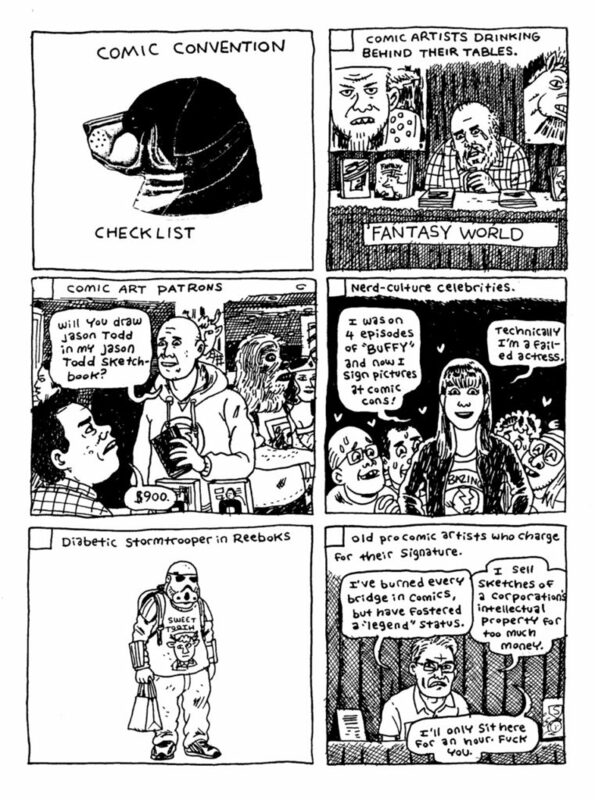 Van Sciver utilizes the aesthetics of underground and alternative cartoonists before him like Crumb, Clowes and Bagge while speaking straight from the heart of today’s disenchanted and disenfranchised youth. SPX 2015 takes place on Saturday and Sunday, September 19-20, and will have over 650 creators, 280 exhibitor tables and 22 programming slots to entertain, enlighten and introduce attendees to the amazing world of independent and small press comics. Plan your trip to SPX 2015 here! Small Press Expo (SPX) is the preeminent showcase for the exhibition of independent comics, graphic novels, and alternative political cartoons. SPX is a registered 501©3 nonprofit that brings together more than 650 artists and publishers to meet their readers, booksellers, and distributors each year. Graphic novels, mini comics, and alternative comics will all be on display and for sale by their authors and illustrators. The expo includes a series of panel discussions and interviews with this year’s guests. As in previous years, profits from the SPX will go to support the SPX Graphic Novel Gift Program, which funds graphic novel purchases for public and academic libraries, as well as the Comic Book Legal Defense Fund (CBLDF), which protects the First Amendment rights of comic book readers and professionals.